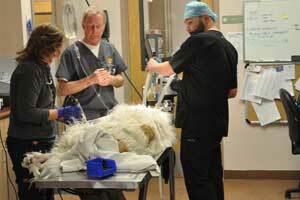 VESC of New Mexico and VESC of Santa Fe are state of the art medical facilities that provide emergency care for injured and sick pets, as well as sophisticated medical and surgical treatment by highly trained veterinarians on a referral basis. We are available for emergency and specialty referrals 24 hours a day 365 days a year. Our emergency service is designed to serve as an extension of your practice offering emergency and critical care 24/7. 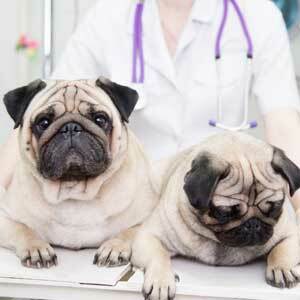 Once you have determined your pet is experiencing an emergency and you bring him or her to Veterinary Emergency & Specialty Center (VESC), you may wonder what happens next. Do not hesitate to call us directly at (505) 884-3433. Veterinary Emergency & Specialty Center of New Mexico in Albuquerque and Veterinary Emergency & Specialty Center of Santa Fe are state of the art veterinary hospitals that provide emergency care for injured and sick dogs and cats as well as specialty medical and surgical treatment by skilled doctors on a referral basis. VESC has doctors highly trained in surgery, critical care, internal medicine, dermatology, ophthalmology, animal behavior, and acupuncture. 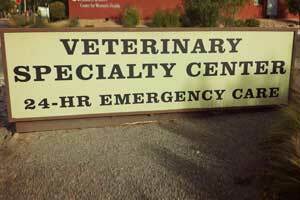 The goal of Veterinary Emergency and Specialty Centers is to be the premier veterinary emergency and specialty facility in the desert southwest. 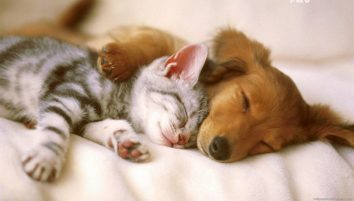 We are committed to providing comprehensive, high quality veterinary emergency and specialty care with emphasis on exceptional client service and superior patient care. The Veterinary Emergency and Specialty Centers strive to deliver the most compassionate and professional environment that veterinary medicine can offer.